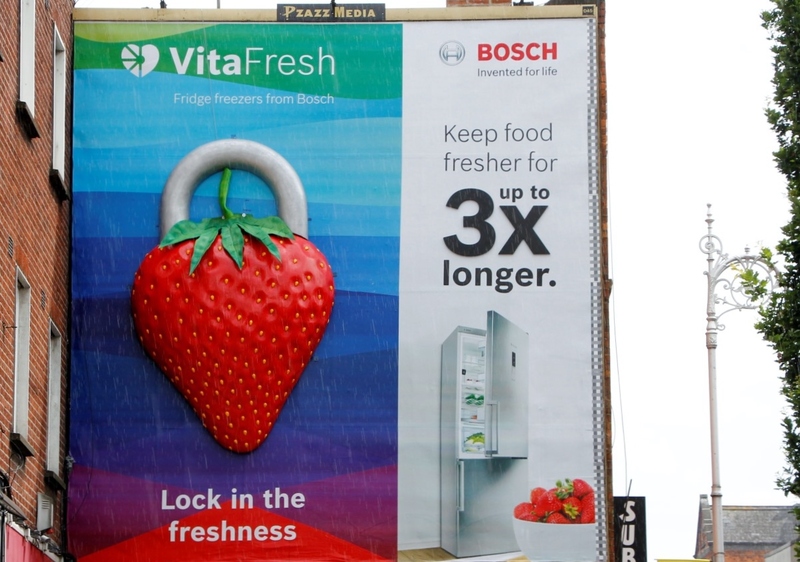 Bosch Home Appliances has this week launched a striking new OOH advertising campaign in Dublin to promote its Vitafresh fridges freezers, including a special build featuring a giant 3D strawberry. The 4 x 2 metre, hand painted strawberry appears in the famous Wexford Street and has been designed to look like a padlock to represent the Vitafresh technology’s ability to lock in freshness, keeping fruit and vegetables edible and nutritious for up to three times longer. 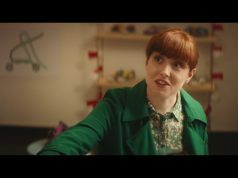 Created by Bonfire Creative Intelligence, the campaign also includes standard 48 and 96 sheet poster sites across the Irish capital for the next two weeks. It will also include digital and social media activity throughout July. Media was planned and bought by Mediacom, while the giant strawberry was produced and built by Eclipse.